SOLD READY TO MOVE INTO. Detached newly built Villa situated in Almeria province the beautiful area of Almanzora. The area is planted with many Orange and Lemond trees therefore has beautiful views of the surroundings. The Villa is only 5 minutes drive to the charming Village of Almanzora where you will find all the amenities, there is also a weekly market. The larger Town of Albox where you will find all the amenities is only another 5 minutes drive. A spacious living room with fireplace, a kitchen not fitted, a family bathroom, three double bedrooms, the master bedroom will have an en suite bathroom. The garden around the house is of 1,000m2 all flat and useful land will also be established, and tidy. 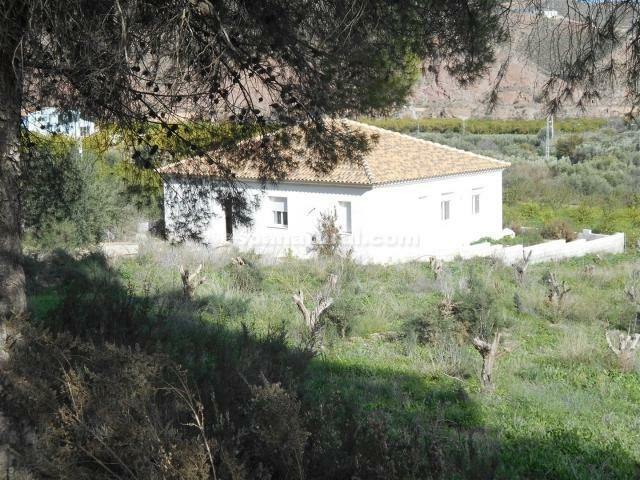 This house for sale in Almeria is of 136m2 and will be sold connected to the mains electricity and water, you can then connect internet. The views are stunning, good access to the Motorway A7 E15 towards the coastal Towns of Mojacar, Garrucha, Ver playa and many more, Almeria Airport is also only 1 hours drive. For more properties for sale in Almeria please visit our website.